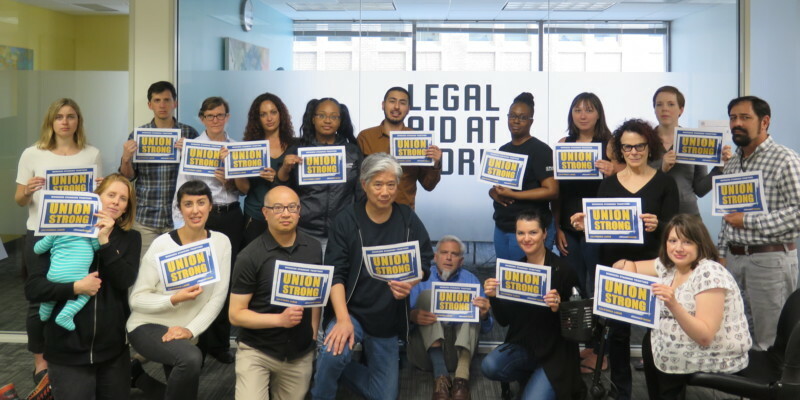 In 2015, Legal Aid at Work (then known as Legal Aid Society-Employment Law Center) staff unanimously petitioned to join ESC Local 20. Support staff, administration, and attorneys have joined in a wall-to-wall unit. The first contract included many provisions that tackled retention and burnout problems that are often unique to nonprofit agencies, plus groundbreaking paid family leave benefits. Professionals represented by this contract are part of the Union’s Government, Administrative, Technical Unit.